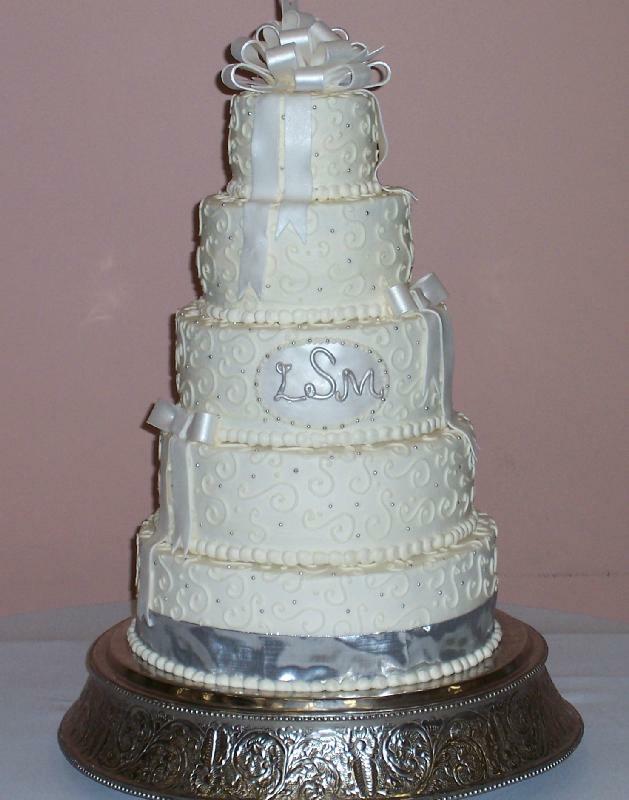 A large 5 tier with tiny silver pearl dots scattered over the cake and piped butter cream scrolls. Fondant bows brushed with pearl dust were placed on the tiers and added on the top as an ornament. A large fondant monogram and a silver ribbon at the base completed the cake.